Samsung is without a doubt the biggest smartphone manufacturer in the world. 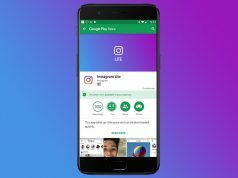 The South Korean tech giant has been innovating the smartphone industry for this last decade with its Galaxy S lineup and the latest Galaxy S8 flagship is a great example of that. The previously mentioned device is one of the best smartphones that money can buy, but Samsung is on a never ending pursuit to improve its devices even further. 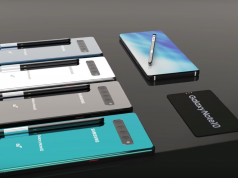 Even though Samsung might be ruling the smartphone industry at the moment, a recent leak shows us that the company wants to take things to the next level. The leak comes from “The Bell” which is a renowned website from Samsung’s home turf and it shows us that Samsung is already adding the finishing touches to Galaxy S10 even though Galaxy Note 9 is still not available in stores. The leak hints towards the fact that Samsung plans to officially announce Galaxy S10 in January and the all-new folding screen Galaxy X in February. The reason why Samsung has picked these two months is because that is when the famous CES and MWC events are being hosted. While Galaxy S10 is surely going to generate lots of profits for Samsung, Galaxy X is expected to take the market by storm as well. The reason we are saying that is because as you can clearly see in the featured picture, Galaxy X looks amazing. 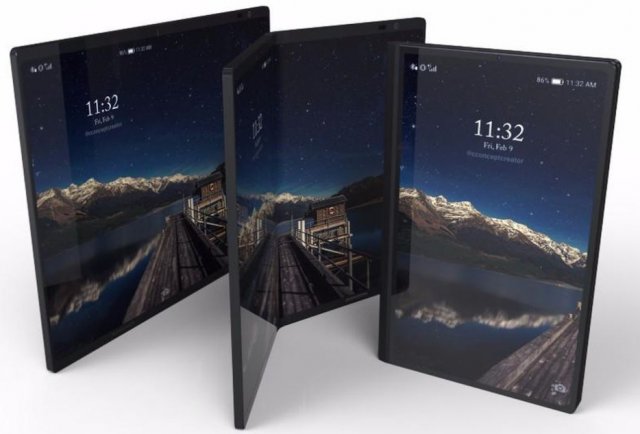 The smartphone is said to ship with three 3.5-inch OLED displays that can be folded out to create a tablet-like smartphone. On the other hand, Galaxy S10 is expected to ship with a 3D facial scanner which will function similarly to Apple’s highly popular FaceID feature that can be found on iPhone X.